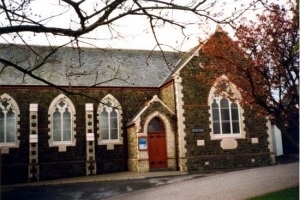 Buckland Brewer Chapel has very strong links with the Parish Church and all services are combined, the first two sundays of the month at the Parish Church and the 3rd and 4th sundays at the chapel. If there is a 5th sunday in the month the service is flexible. The chapel also has a strong presence in the village with many activities taking place. There is a Snooker Club on wednesdays, a Youth Drop In on thursdays and a Parent and Toddler Group on fridays. The vestry area has been converted into a village shop run by the local community and is also a collection point for the Bideford Food Bank. There is an annual Combined Churches Fete in July and also a Plant Sale and Safari Lunch in May.